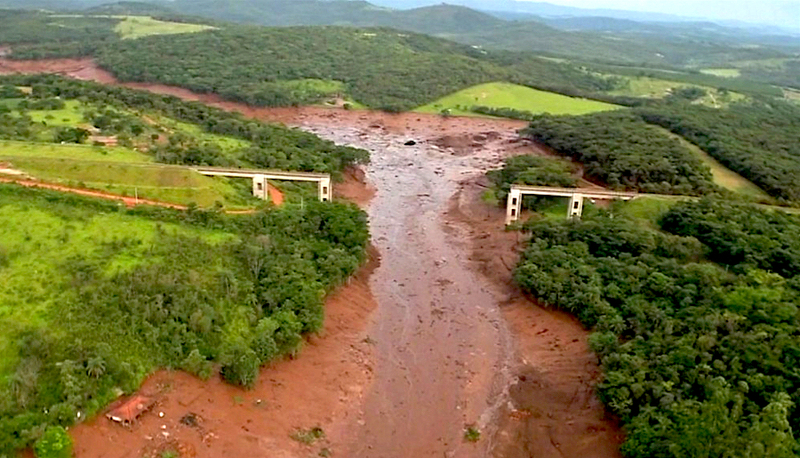 Brazilian iron ore miner Vale on Wednesday announced a series of writedowns and provisions related to the Brumadinho tailings dam collapse that killed some 300 people two months ago, saying there would be an affect on future results. The writedowns include $124 million related to the Corrego de Feijao mine where the dam was located, as well Vale's wider array of upstream tailings dams, considered the most vulnerable to collapse and slated for shutdown in the coming years. Vale's shares are down about 12 percent since the accident in January, up from a drop of as much as 26 percent in early February. Overall, the company's quarterly results provided little information about the ultimate cost of its second deadly dam disaster in less than four years or about the contours of an expected eventual global settlement between Vale and Brazilian authorities. "It was a good result, exactly in line with our expectations, but the company didn't disclose any further details related to the accident in terms of the costs and provisions," said Santander analyst Gustavo Allevato. He said he was hoping for more information during the company's two conference calls scheduled for Thursday. Vale's shares are down about 12 percent since the accident in January, up from a drop of as much as 26 percent in early February as surging global iron ore prices partially offset concerns over potential lawsuits and fines as well as possible management turmoil. Vale Chief Executive Fabio Schvartsman temporarily stepped down this month under pressure from prosecutors and was replaced by Eduardo Bartolomeu, previously the company's director of base metals. For all of 2018, Vale reported $6.86 billion in net profit, missing the $7.2 billion mean of estimates by analysts polled by Refinitiv.